If you are a CURRENT Fort Worth Mid Cities member please select this registration. Do your employees perform at their best or just show up for a paycheck? Are you attracting and keeping the most talented employees? Are your employees a high performance team or just a work-group? Are you winning and keeping enough customers? Are you exceeding your financial goals or are you under plan? This workshop provides simple leadership strategies that will transform an effective manager into an effective leader. In just one life-changing day, this workshop will enable you to achieve excellent business results and change lives. 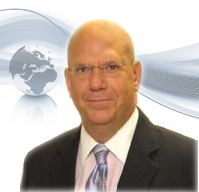 John Wright is Founder and President of Simple Leadership Strategies. He helps professionals achieve operational excellence, improve financial results, and change lives. Through a process called heart-learning, he transforms customers into advocates, workgroups into teams, employees into partners, and managers into leaders. John has been training managers and developing leaders for over 35 years, working with over three thousand professionals in twelve countries in Africa, Asia, Europe, South America, and here in the U.S.
All online reservations are due the Monday before the Workshop.